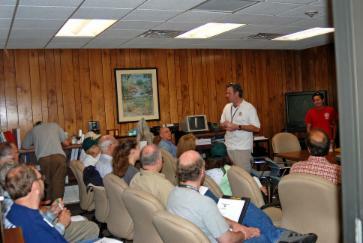 News - CERT - Citizen volunteers helping to provide aid and assistance during emergencies. Existing CERT veterans and recent graduates alike, came out September 10th for the refresher training course offered at Fire Station #4. The morning course introduced the team to the CERT trailer and its contents. The teams pulled out and used all of the equipment from the trailer and were given refresher training on basics such as victim carry techniques, cribbing and other skills. Then they eat pizza and talked about the fun they had. 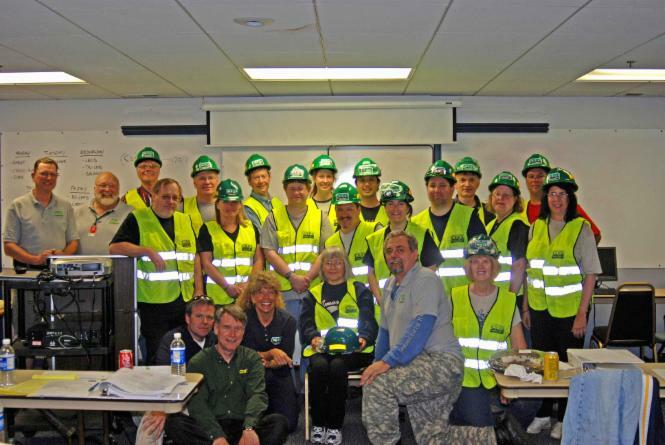 On Saturday May 30th the May 09 CERT class completed their classroom training and field exercise at Fire Station # 4. The class adds and additional roster of 18 volunteers that are ready to assist in Naperville if there is an emergency situation. All six instructors agree that this class will be a great asset to the Naperville CERT organization. 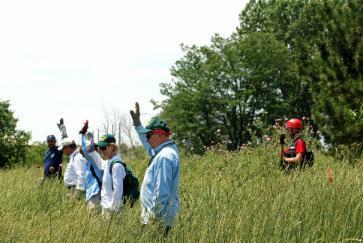 We would like to extend a special thank you to the volunteers that participated in the afternoon field exercise. The volunteer’s added an aspect of realism to the exercise that challenged the class to apply all that they had learned. On Sept. 14, 2008, the Naperville, IL CERT was activated by the Naperville Fire Department to help fill sandbags for residents affected by flooding in the area. The Naperville CERT teams supported the Fire Department and NEMA/Firecorps during Ribfest. Twenty-four individuals covered eleven shifts during the four day event. The teams kept the ambulance ways free of concert goers. There was the water wagon that our CERT Teams used to keep the “Fest” goers hydrated in the heat. Always at hand were band-aids to put on small cuts and skinned elbows and knees. The CERT teams appreciated the opportunity to work again this year with NEMA/Firecorps and the Naperville Fire Department. Will County Search and Rescue trainers Lt. Domingo Kaller, Jeff Marvin, and Lauren Magosky met the Naperville CERT team at 8:00 AM to begin a day long training session on search and rescue. The morning was spent in classroom discussion covering the many aspects of search and rescue. Search and Rescue (SAR) is the application of all available resources to locate and assist persons who are, or are feared to be, in actual or potential distress. The training covered common lost person strategies, the behaviors of lost people from young children to the elderly, and what to expect from various classifications of lost individuals. Search techniques such as the Hasty Search procedure, Efficiency Search, Tight Grid, Sound Sweep and Thorough (Evidence) Search were all reviewed for the class. The class heard about the equipment needed to successfully conduct search and rescues. The search crew positions and responsibilities were learned first in the classroom. After lunch, the classroom training was put to the test in the field. The class was divided into three teams. Three different search situations were provided so the teams learned how to deal with different conditions. T hose situations ranged from looking for small items in an Evidence Search to the simulation of a lost child in an area of heavy undergrowth. The 90 degree temperature required the teams to maintain safe practices by taking rest and water breaks. Searcher safety is the cornerstone of search and rescue. An injured rescuer is no good to the victim. Proper clothing was essential. Although the temperature was high and the terrain was difficult to navigate, each team successfully covered the areas locating the objects of their search. The CERT members were challenged with one final question. After this experience, is this something they would be willing to commit to doing on a frequent basis as a means to further sharpen their skills? ► An explosion in the chemical laboratory triggered a full response from the Fire Department’s specialized Hazardous Materials Team. Victims and firefighters alike had to undergo a thorough decontamination process. ► A simulated shooting and hostage situation involved specialized law enforcement (SWAT) team members from nearby communities. Police Officers cordoned off the area and set up a perimeter. Special Response Teams were deployed to neutralize the gunmen, rescue the hostages, and transport victims who were wounded. ► The Cook County Bomb Squad, along with its remotely controlled robot responded to search the area and deactivate a car bomb. ► A Search and Rescue was performed in the nearby forest preserve by law enforcement members on horseback.